Was very windy, wet and cool last night. So when I woke up this morning I was very happy to see the blue sky was back. Today is a relative short ride, so didn't leave until about 8am. The ride for the next 45km to Lorne pretty much followed the coastline. I had plenty of opportunities for stops to enjoy the views along the way. The ride itself was again a lot of fun, the scenery is just breathtaking. 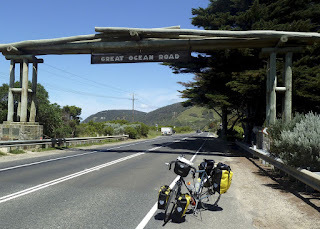 So far the traffic on the Great Ocean Road has been pretty light and good when overtaking, as it isn't the widest of roads. I stopped in Lorne for a bite to eat and a quick look around the shops. 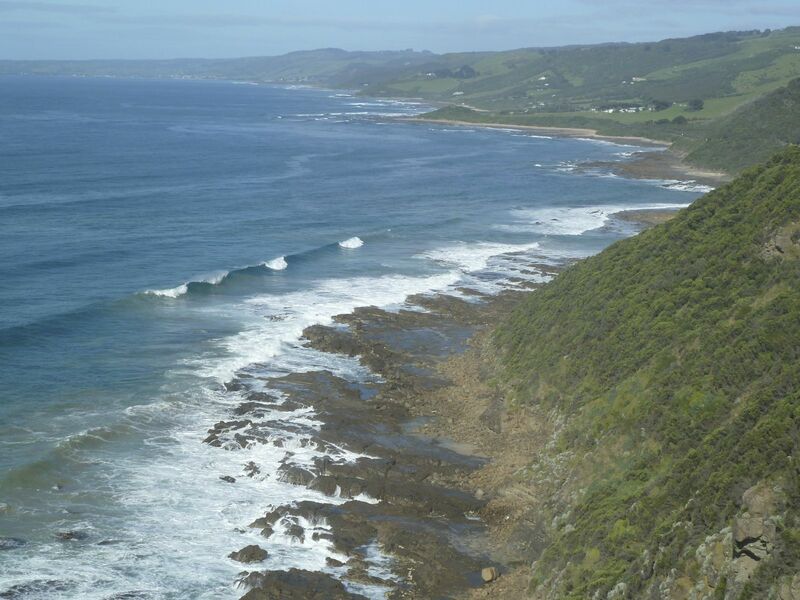 Lorne is a popular seaside town and has some nice beaches and walks nearby. 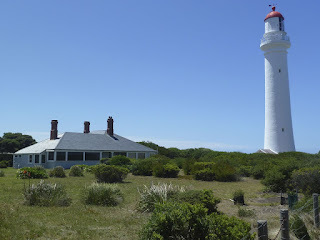 I then continued on to Aireys Inlet and stopped to have a walk up to the lighthouse. Once I finished enjoying the views from the lighthouse, I continued my ride to Anglesea. Which will be my destination for the day. I arrived at Anglesea at about 1.30pm. Checked the caravan park for a place to pitch my tent, found that the backpackers is actually a lot cheaper. 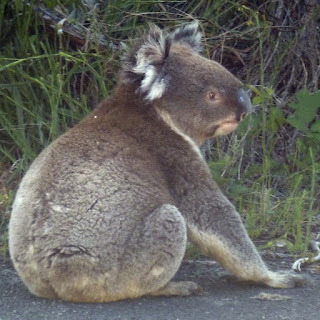 So instead I'm staying at the Anglesea Backpackers. The owner seems very friendly and it is very well kept. As I'm not going to do any more camping on this trip, I've mailed my camping stuff home. Saves me carrying an extra 8kgs and not having to pay any excess baggage fees at the airport on Saturday. For the rest of the afternoon I'm going down to the beach. Again today was just perfect for riding. Great weather, wonderful scenery and nice little towns along the way. 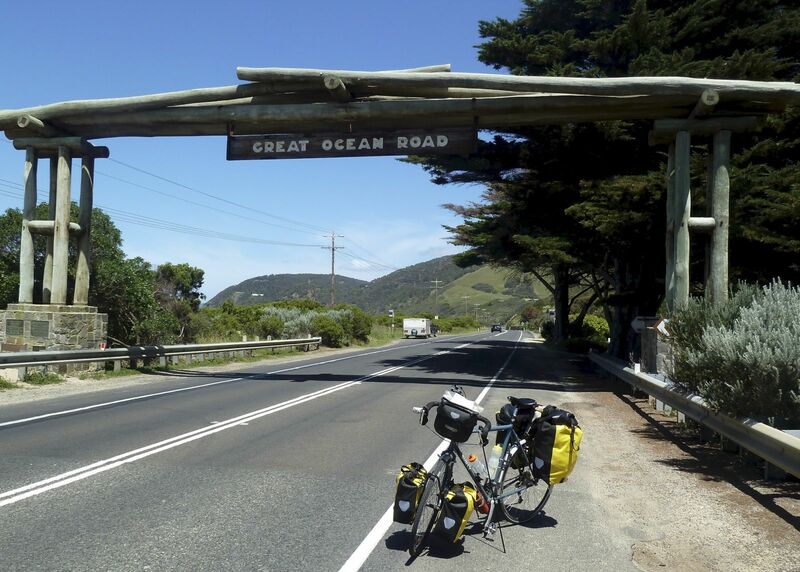 Tomorrow is going to be a short ride to Queenscliff and then the ferry across to Sorrento. So might get to have a sleep in.